Hailing from Los Angeles,CA Worldview plays a mature blend of Melodic Prog-Metal with touches of Power Metal that,for this listener, is sure to be well played for years to come. 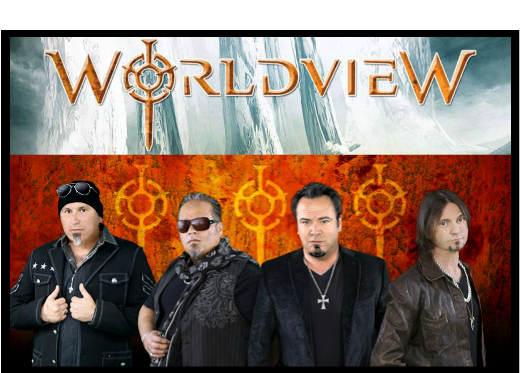 Worldviews debut album 'The Chosen Few' is an All-Star project consisting of Rey Parra-former lead vocalist for Sacred Warrior, Guitarist George Ochoa former lead Guitarist for the well known band Recon and their 1990 release 'Behind Enemy Lines'. Ochoa is also responsible for the guitar work on one of the greatest records of all time Deliverance-'Weapons of Our Warfare'. Some of the extra Guest who help to round out this All-Star band are Les Carlson(Bloodgood), Larry Farkas(Vengeance Rising/Die Happy), Oz Fox(Stryper), and Jimmy P. Brown II(Deliverance,JupiterVI). According to the band's web site: "The band-mates had always talked about at some point joining forces as they criss-crossed the country on tour with their earlier bands and finally the time has come and Worldview is ready to bring their unique blend of top-notch modern metal with a message to the masses. Mildly technical, highly melodic, vocally harmonized, engaging, head pounding and fist pumping". The album's cover artwork is very well done and is a nice fit with some of the content in the tune "Mortality" and how the kings of this earth are trying to build earthly kingdoms that only come to ruins as the nations rage. For christians, our home isn't on this earth as we are strangers just passing by. Then there's the connection drawn from the artwork by the tune "Two Wonders" to those chosen by Jesus Christ who will cross over the gulf of sin and enter eternity with God by faith in Jesus and His blood that was shed on the cross for our sins. Another thing that stands out about the tune "Mortality" is the opening of the tune with its Middle-Eastern influenced sounds that introduce the song with plenty of imagery and atmosphere as these sounds periodically return in strategic spots throughout the song. 'The Chosen Few' is Worldview's debut release and I must say that the band is right on when they said that it is sure to get the head pounding and the fist pumping. This is Melodic Metal at its best guys the kind of Metal that can be easily embraced by the Metal fan. If you enjoy your Metal with a slight "Epic" feel then you are in the right place here with Worldview. Rey Parra's soaring vocal style stands out in the Metal community setting him apart from others. The years that have passed since Rey's 'Sacred Warrior' days, have found Rey's vocals seasoned to maturity in a modern up-to-date style of delivery. He still has this powerful yet not forced element expressing itself in his vocal style that no one can deny has aged nicely. If you enjoyed Rey Parra's vocal work with 'Sacred Warrior' then it will be easy to embrace his offerings on this debut release. George Ochoa is very capable with his six stringed axe as he moves from 80's style noodling to 90's style riffs. 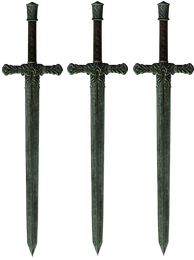 We also find some Thrash riffs thrown in for good measure along with Power Metal chords that give a pick-up in certain parts as it helps to move the song along . I just can't say enough good about Ochoa's abilities because if your a fan of 80's guitar shredding or if you like more modern day styles of guitar play then you are in for a treat here. One thing that I appreciate and that stands out about Drummer Johnny Gonzales is his simple approach to percussion that isn't over the top trying to make a statement. These days we have too many drummers using blast beats throughout the entire album that really can wear down & wear out the listener. However, with that said, I appreciate Gonzales' return to normal 80's style drum effects. Keyboards are handled from a duo approach from George Ochoa & Todd Libby who both do a great job adding touches that help to give this All-Star production an "Epic" feel. The keys are subtle and don't distract from the guitar work. The band mentions Dream Theatre as one of their influences and this really comes out toward the latter part of the tune "The Chosen Few" with its progressively dreamy touches that close out the tune nicely. Worldview has released a stellar album with "The Chosen Few" and is one of the best albums these ears have heard in a long time. Don't let this one pass you by. Get a copy of Worldview's debut and let the Journey began!